Once a ubiquitous, single-story, red brick ranch, HubbHouse Westwood now boasts a completely new architectural expression while remaining sensitive to the scale of the street and its surrounding neighbors. With careful space planning and clever design and framing techniques, the finished square footage of this now modern cottage nearly doubled without expanding its footprint or feeling disproportionately tall. 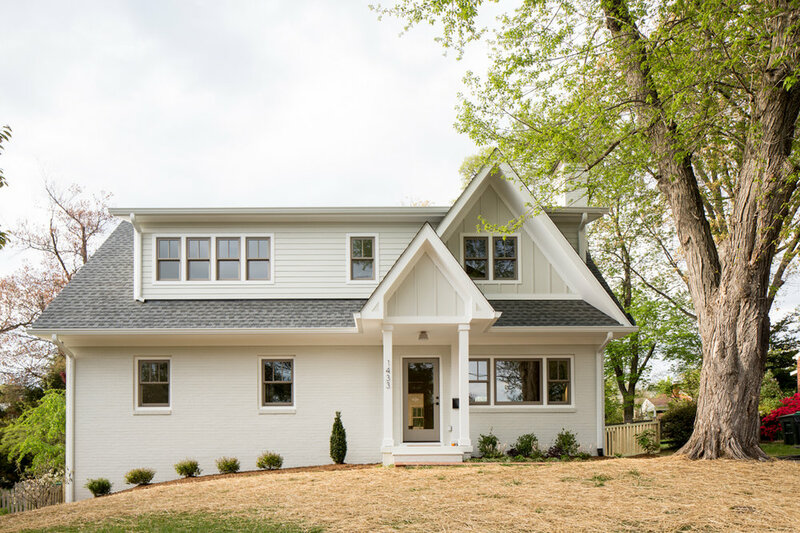 Applying modern interpretation and detailing to classic cottage design cues allows HubbHouse Westwood to be at home in the neighborhood while still making a subtle statement of its own. Living spaces have been optimized by selectively peeling back walls and realigning axes of movement and sight, enhancing the visual and physical connections of adjoining rooms and allowing natural light to penetrate deeper into the house. The interior and exterior alike take inspiration from Scandinavian interior design by utilizing a bright, primarily white color palette, pale hardwood floors, and contrasting fixtures and hardware.